La Tourangelle extra virgin olive oil is cold extracted from organically grown Picual olives harvested exclusively in a single family-owned estate in Andalucia, Spain. The olives are picked early and processed on-site within two hours to guarantee very low acidity and excellent quality. 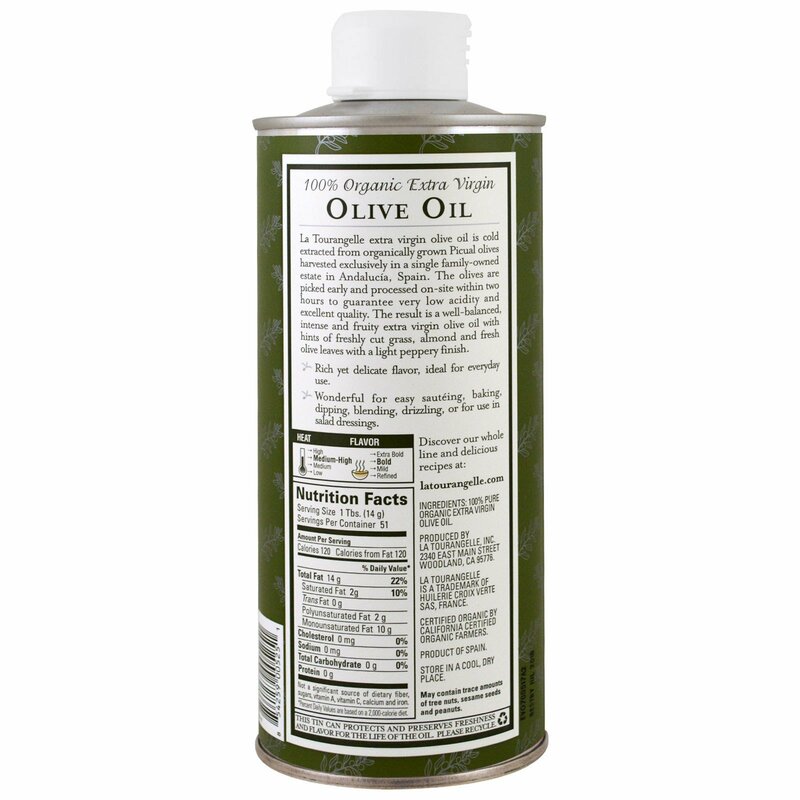 The result is a well-balanced, intense and fruity extra virgin olive oil with hints of freshly cut grass, almond and fresh olive leaves with a light peppery finish. Rich yet delicate flavor, ideal for everyday use. 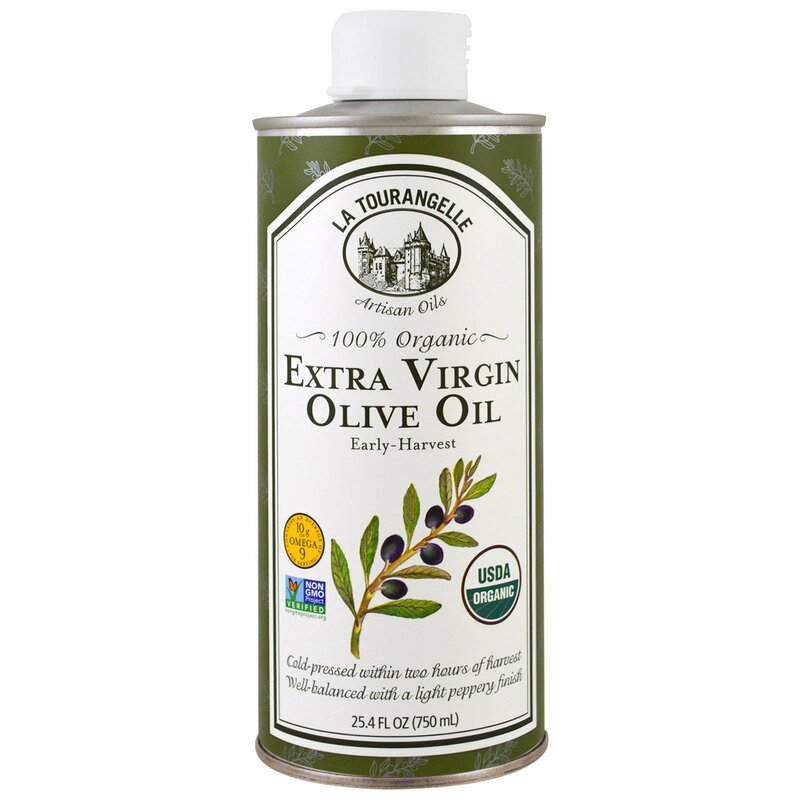 100% pure organic extra virgin olive oil.